Today is Thanksgiving Day! It means that all Americans people sit down at the same table with their relatives, cooking before traditional meals like turkey, mashed potatoes, stuffing, cranberry sauce, yams, and pumpkin pie. But what does it means for the business? The start of the holiday sales! 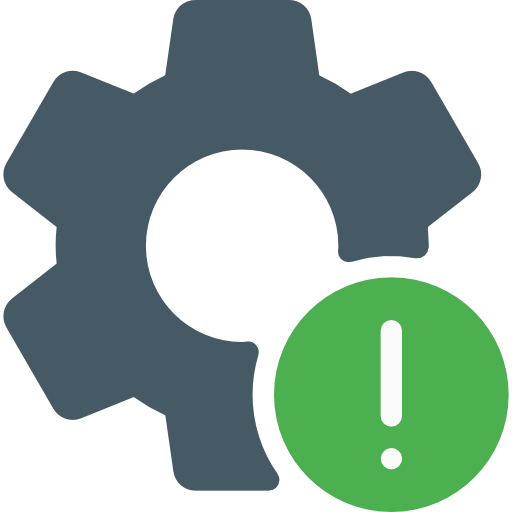 We hope that you have already prepared the main activities that can drive engagement and retention for your users. So, now let’s focus on mobile sales. Take the pencil and check if you include these tips to your marketing strategy. What is the current mobile sales share? According to the eMarketerRetail report, retail e-commerce sales reached $2.3 trillion in 2017 with the mobile share – 58.9%, or $1.4 trillion. 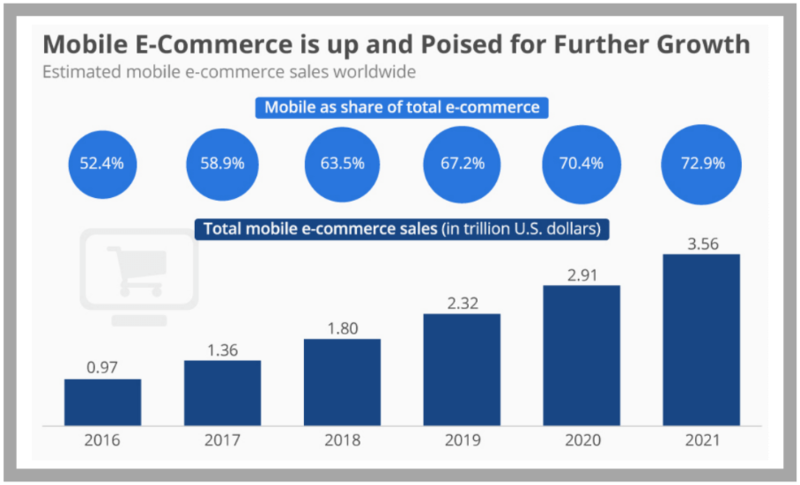 Also, it is expected that mobile e-commerce could rake in some $3.5 trillion in 2021, and then make up more than 70% of e-commerce sales. And what the situation is during holidays? Ok, in the 2017 mobile sales (smartphones and tablets) are totaled $35.9 billion. There is a 28% year-over-year increase. tablets 10% with $10.8 billion. When compared with 2016, smartphones generated 21% of holiday sales, tablets 10% and desktops 69%. So, there is a slight growth in mobile share sales. What are the main tips? Remember, that the main advantage of mobile shopping is its short on time and on the go. Therefore, you need to do it maximum as convenient and stress-free as possible. All the information we divided into 4 blocks. Let’s start with the first one. It is not a secret that consumers interact with social media the most via mobile devices. So, be ready to create a dual channel: social net – your site, your site – social net. Social nets and good UI are good things but do not forget about mobile marketing. Probably you will use the popups on the website. But what to do with the mobile devices? Turn off? We have another solution. 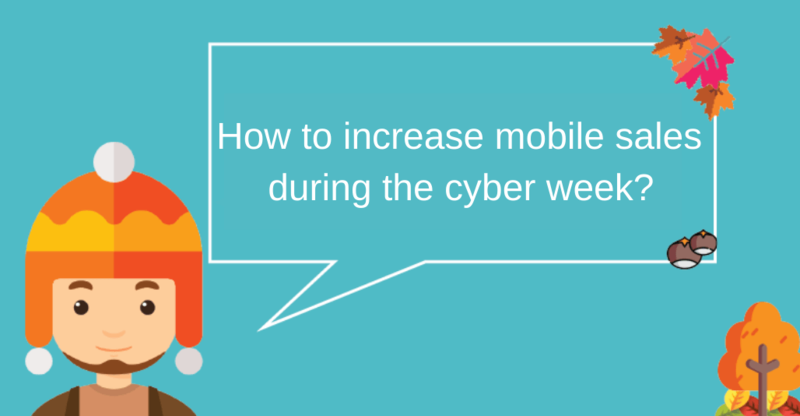 To sum up, the right mobile strategy can really boost your cyber week sales.